Lots NEW! Detailed colouring pages of Olympic scenes combined with handwriting lines make up our Olympic story paper - fun for creative or factual writing or possibly, for the lucky ones, for journaling your day at an Olympic event! 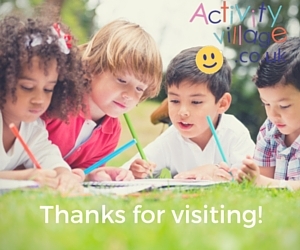 Use this story paper for the kids to write about the Olympic Games to come, or to keep track of what they have watched and enjoyed during the events in Rio this summer. 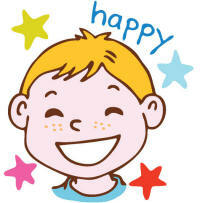 We have two versions: one with handwriting lines and one lined for older kids. Ready to download and print for your writing projects this story paper has a picture of Nike, goddess of victory, to inspire creativity. Children can use our Olympic medal story paper as a prompt to write a story about winning a medal or perhaps to plan how they might work towards a goal. 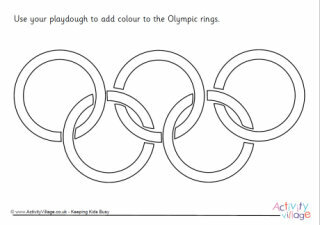 Choose from lined or handwriting versions of our Olympic rings story paper. As well as story writing they could be used to descirbe the significance of the rings and the colours. Record some research into the Olympic torch or write a story on our lined or handwriting Olympic torch story paper. What do you think it must have been like at the Ancient Olympic games? Why not write a story describing what it you think it would have been like to compete on our printable Olympic wreath story paper. Use our track cycling story paper to tell a story about a race, write about a race you have watched, or describe the sport and what you see in the picture. Choose from three versions of this Winter Olympics sports frame, which captures all the excitement of the event. Can the kids spot their favourite winter sports in the pictures?